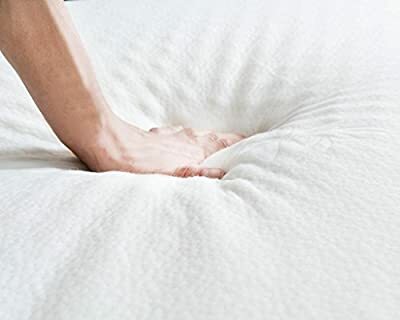 Soft Bamboo Fiber Cover -- The texture of the bamboo textile is softer and more elastic than most types of cotton. 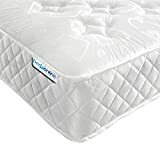 It can efficiently absorb moisture and eliminate the surplus heat of human body reduce the number of flips and enjoy deep sleep. 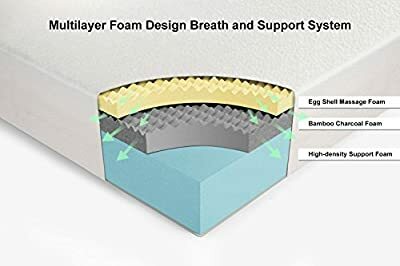 Vesgantti Support and Breath System -- The MULTILAYER FOAM DESIGN AND EGG SHELL FOAM SYSTEM offer more bounce and a cooler, more tranquil sleep. 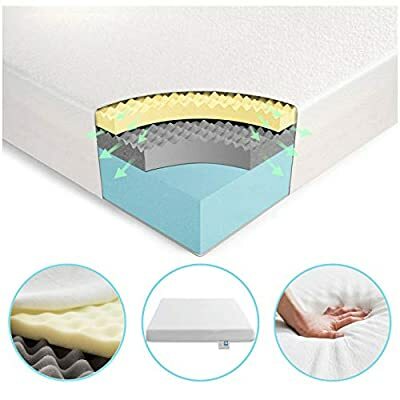 It not only can provide better support for your spine, but also can increase the breathability of this mattress. 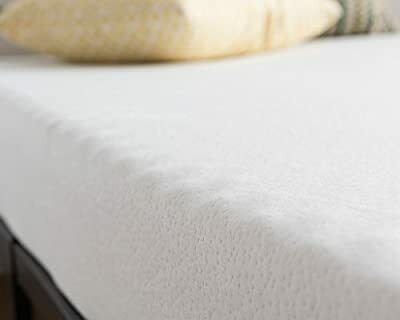 Comfortable and Healthy --The composition of this Vesgantti foam mattress is made up of three foam layers. 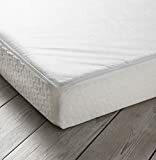 Slow springback foam made of high density and first-class temperature-sensitive material, combine with bamboo charcoal foam, comfortable and breathable, can efficiently inhibit bacterial and parasitic growth and expel the steamy sweat from the contact surface between you and mattress so to keep body comfortable and dry when sleeping. 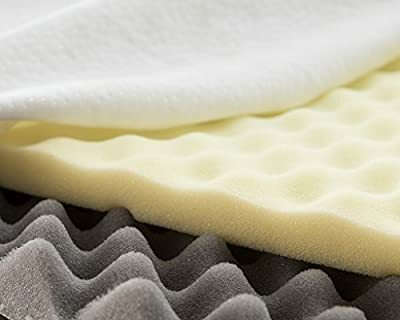 Ultra Quiet -- Special 3 layers of foam system combine with egg shell cutting technology, can effectively absorb the noise and vibration caused by tossing and turning when sleep, no waking up by the noise, not disturb companion and effectively reduce your turning times, let you sleep soundly and peacefully. Vacuum Roll Packed -- It is delivery, compressed, vacuum sealed and neatly rolled in a box. Smaller size, easy to carry, restore in 10 seconds after unpacking. 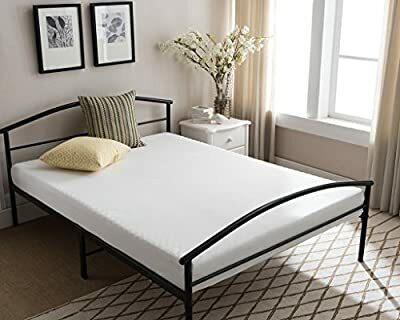 (Please note: full restore may need about 72 hours, once the mattress open and restore, it cannot be roll back again.) Delivery Excludes: Channel Islands, Isle of Wight, Isle of Man, Scilly Isles, Scottish Islands, Northern Ireland.